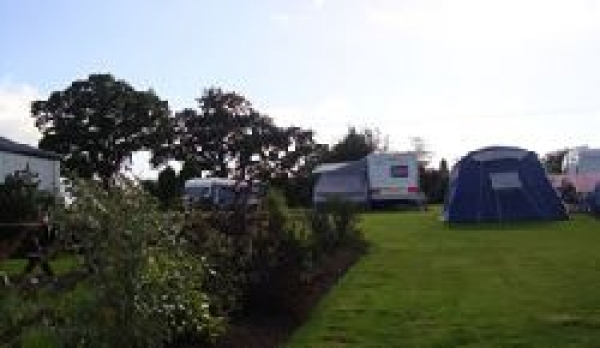 The Trotting Mare Caravan Park is an adults only caravan park, open all year round, situated between the historic village of Overton-on-Dee (near Wrexham), and the Lakelands of Ellesmere in Shropshire. The grounds are uniquely located on the border joining North Wales and Shropshire in England upon the A528. The site provides you with the perfect base for exploring and relaxing within the Welsh and Shropshire countryside. Fishing is available on-site - fish are roach and carp. The caravan park has a fully modernised toilet and shower block with central heating and hot and cold water. The caravan park has 50% hard standing and 50% grass with each pitch being numbered and having an electrical hook-up point. Super pitches have water waste, mains water and electric. Dogs are made welcome, but must be kept on a lead at all times.